Getting a good night’s sleep is an essential part of our everyday lives. We all need it to recharge and face the challenges of the following day. 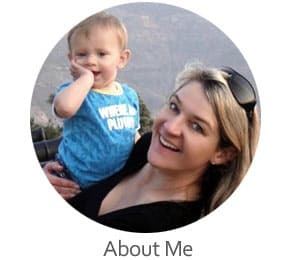 Without the right level of support, we might wake up after a restless night of tossing and turning, with a stiff neck, headache or a sore back. A person who is a “combination sleeper” needs a pillow that can adjust to ANY of their sleeping positions and offer the same comfort whether they are sleeping on their side, back or stomach. 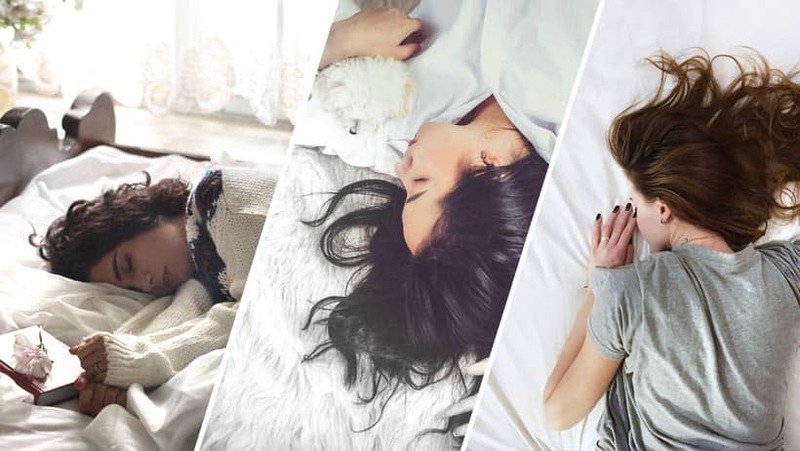 In this article, we’ve looked very carefully at the best pillows for combination sleepers as well as how their unique designs can help you have a better night’s sleep. Combination sleepers alternate between various sleeping positions during the night. They may transition back and forth frequently or they’ll start out in one position and slowly migrate to another as the night progresses. 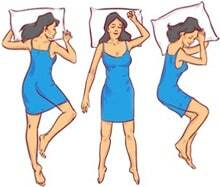 This constant changing of positions gives their muscles and joints comfort and relief while sleeping. Having the right pillow for all the varied head and neck angles is vitally important. For example, stomach sleepers need a thinner “low-loft” pillow, while side sleepers require a much higher pillow to accommodate the curve between their shoulder and the neck. Getting this combination right can be the key factor in avoiding neck and shoulder pain as well as headaches and other sleep issues like insomnia, sleep apnea, etc. Thankfully, combination pillows are usually adjustable. This means you can preset the loft by adjusting the filling. Additionally, if the pillow is “moldable” enough, most combination sleepers while using their hands or shoulders to make tiny adjustments while sleeping without even realizing it. As you begin to “learn” your adjustable pillow, it becomes possible to tweak it to absolute perfection! Comes in three sizes; standard, queen and king. Fully adjustable by easily removing and reshaping the inner stuffing. Great for all combination sleepers. Hypo-allergenic and dust mite resistant filler. The filler is shredded viscoelastic memory foam. The outer cover is a blend of polyester and bamboo derived rayon fabric. The Coop Home Goods adjustable memory foam pillow is a fantastic “all-rounder”, perfect for anyone who wants to be comfortable in any sleeping position. It’s extremely easy to reshape the pillow to your preferred density by adjusting the volume of shredded viscoelastic memory foam filler before going to bed. Sure, it may take a night or two to find the perfect “thickness”, but once you’ve found it… pure bliss. Plus, if you’re not 100% completely satisfied with it, you can return it within 100 days with absolutely no questions asked! It’s a very popular seller with incredibly high ratings. The materials and design of the Coop pillow is breathable which prevents stale air and odors from developing inside the casing. Made in the USA using the highest quality environmentally friendly materials, and the fact that it is extremely easy to adjust to any sleeping position is what really sets this pillow apart from its competitors. The product is vacuum packed and has a slight manufacturing odor after opening. Hypo-allergenic and dust mite resistant memory foam filler. The outer cover is made of a unique blend of bamboo viscose and polyester. Micro vented outer cover for breathability and temperature control. Coolest Pillow for Hot Sleepers. Adjustable by removing and repositioning the inner fill. 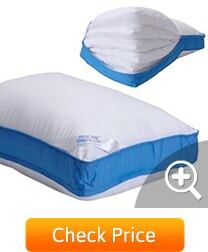 Is a great pillow for all types of combination sleepers. 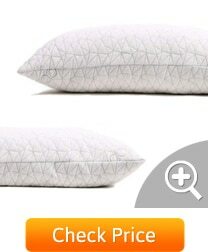 The Snuggle-Pedic luxury bamboo memory foam pillow is very similar to our first product listed but is unique in design. 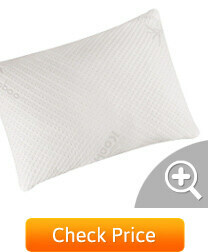 Its Kool-Flow bamboo viscose cover is specially designed with micro-vents to allow airflow around and under your head, keeping you cool and fresh throughout the night. The inner filler is made up of hypo-allergenic memory foam that has been shredded down to a fine and soft “snowflake” texture, offering fluffy and plush support which can be easily adjusted. The use of a finer shred of memory foams makes the pillow much heavier than other large-shred options on the market. So even though some customers have found the weight to be an issue, the comfort and longevity of the finer memory foam is much better than large cut foams. The Snuggle-Pedic is very easily adjusted to suit your specific needs. If it’s not exactly what you’re looking for, you have 120 days to return it with no questions asked. Great for pregnant woman and all types of combination sleepers. Snuggle-Pedic makes a wide range of shapes and sizes. There may be a manufacturing smell in the pillow after the packaging is opened. A machine wash or airing outside is recommended. 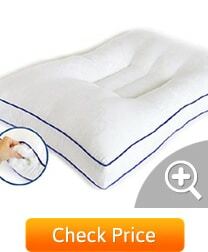 Easily adjusts by removing the inner pillow layers. Hypo-allergenic inner fill made from a synthetic down microfiber. The outer case is made from 300 thread count cotton. Comes in king and queen size as well as a 2-pack queen set. Pancake Pillow’s unique, if not strange and quirky design gets loads of rave reviews, but is not for everyone. It works on a completely different concept than the memory foam pillows showcased here. The unique six layer design which fits into a 300 thread count, cotton outer cover is fairly easy to adjust just by removing a pillow layer or two to achieve your suited comfort level. Each layer is filled with a hypo-allergenic synthetic down microfiber fill, offering an ultra-soft and puffy goose down feel. Most people love it but there are definitely some folks who just hate its unique construction. One of the main reasons is that when a few layers are removed to create a thinner pillow, the outer cover is not filled and becomes loose and baggy which is annoying to some. When it is layered in this way the synthetic inner fill also tends to get moved around and settles into clumps, meaning that the pillow has to be “fluffed” regularly to maintain a soft and puffy feel. Great for all types of combination sleepers. A unique and trendy design. Does not thermo-regulate well so could pose a heat problem in hotter climates. If too many of the inner pancake layers removed then the outer cover is loose and the whole pillow tends to be baggy. Only has a 30 day return policy. 100% natural latex molded inner. Outer cover made of bamboo rayon and polyester blend. Available in king, queen and standard sizes. Available in different densities and loft heights. Mildew and dust mite resistant. The zoned structure offers support at all the necessary points. 30 day no-fuss returns policy. The Malouf is a latex combination sleeper pillow that offers firm comfort in a unique but simple design. The inner is a one piece molded form made from 100 percent natural Talalay latex. The design is based on zones created by cylindrical holes of different diameters which travel through the depth of the pillow. The cylinders perform two functions, one being complete breathability and airflow through the inner and the other being that the strategically placed holes offer different densities at the most important functional parts of the design. Although the Malouf is not adjustable due to its construction as a solid one piece design, it is available in a low loft and high loft model and also a range of densities from firm to soft… bear this in mind when placing your order. Nevertheless, the 30 day no-fuss return policy makes it easy enough to return one for a different model. Natural latex is great for people with sensitive skin. The zoned design with strategically placed holes offers the correct support where needed for the head and neck. The latex inner is not recommended for washing so it is best to keep the outer cover washed on a regular basis to prevent dirt from entering the inner. Comes in standard, queen and king size and sets of 2 in these sizes. 100% sateen finish 330 thread count cotton prevents down from escaping. 650 power fill inner is super soft but offers firm support. Specifically designed for side and back sleepers. Hypoallergenic thanks to the sanitation process used to clean the down. The Luxuredown goose down pillow is a timeless classic that takes us down memory lane straight back to grandma’s cottage on the farm. The quill free goose down has gone through a purifying process rendering it allergen free, no dust, no pollen nor any mites. The down also makes the Luxuredown very light in weight and one of the softest yet supportive options in our review. The Luxuredown 650 fill has been created specifically for back and side sleepers and will not make a suitable pillow for belly sleepers or those who sleep in awkward positions where the face and head are reclining in a downward fashion. These pillows are extremely soft, so the weight of your head depresses the surface more than memory foam or latex pillows. That being said, they still offer stable support, just soft and plush. The down and the overall construction are durable, making it a very long lasting choice. Down is quill free, so you don’t get that spiky feel of traditional goose down items. The soft to medium firmness is ideal for side and back sleepers. Not really suitable for stomach sleepers. It may be just too soft for some people. Although most down pillows are washable, it is a great effort and a timely process to dry them out. Gusseted edge for superior shape hold. 300 thread count 100% cotton outer cover. The whole pillow is machine washable. The Mastertex is made using an ultra-soft synthetic microfiber filler that offers good support without sacrificing softness. 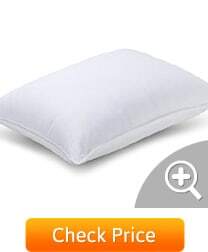 The pillow has a gusseted edge which helps to maintain its shape and prevents the fill from moving around. The gusseted edge is also ideal for side sleepers as it keeps a nice loft between the bed and neck area as well as giving support to the neck all the way to the shoulder. This makes the Mastertex great for combination sleepers, especially those who alternate between left and right side sleeping. The Mastertex is a good down alternative pillow for combination sleepers although it doesn’t quite compare to a real down fill pillow. Suitable for all types of combination sleepers. Holds it shape well and fill doesn’t shift. Perfect for people with down allergies. Microfiber down “alternative” is nothing like down. Recommended by chiropractors and orthopedic doctors. Gusseted edge maintains neck roll shape. 30 day satisfaction no-fuss returns policy. The Natures Guest cervical support pillow is medically designed to provide a good night’s sleep to combination sleepers who require specific neck support. It has been designed with a neck roll that borders the pillow with a central depression to keep the head, neck and spine in the correct alignment regardless of whether you’re alternating from side to back sleeping positions. It’s highly recommended for combination sleepers who frequently change positions during their rest period. 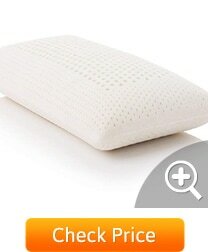 This pillow is very firm and is not recommended for sleepers who remain still on one side for long periods. The neck roll area is also particularly rigid so it might not be suitable for all kinds of sleepers. For those who do require special cervical support, this may just be the pillow you have wanted for years. Ideal for sleepers who toss and turn at night. Provides relief and comfort to sleepers who suffer from neck issues. Not suitable for all types of combination sleepers. The inner filler of Holofiber fill. Waterbag can be adjusted easily. Mediflow started making the Water Pillow more than 20 years ago and they are still manufacturing them today for combination sleepers who suffer from back and neck pains. The waterbase technology has been clinically proven to provide long-lasting relief from neck and back pains caused by awkward sleeping positions. It truly is the ultimate, fully customizable pillow available. Firstly, the waterbase can be adjusted by removing or adding water and secondly, any type of inner can be used in the cotton outer cover along with the waterbase. The waterbase immediately adapts to any head movement during sleep, resulting in undisturbed rest throughout the night. The Mediflow is suited for all types of combination sleepers and those who’ve used one have sung its praises to others who suffer from neck and back problems while sleeping. Reduces neck pain and headaches remarkably. Clinically proven by medical professionals. Suitable for most types of sleepers. Heavy because of the waterbase. Takes a bit of time to adjust to suit your comfort level. Some of us just struggle to get a good night’s rest and not having the right pillow can turn some of us into insomniacs. Bad sleeping patterns affect our general day-to-day function and getting up after a restless night simply feels terrible. Fatigue with stiff muscles is not the way to start the day and people who suffer from a lack of rest end up wearing out quickly, which in turn affects their work, their mood and everything else around them. Finding the right pillow if you are a combination sleeper will change your life and you will have energy and vitality to carry out your daily chores with ease. People who sleep in various positions need to have a pillow that provides them with the right level of comfort in all the positions they may find themselves sleeping in. The Coop Premium and Snuggle-Pedic stand out as perfectly balanced all-round pillows for combination sleepers. These are also fully adjustable. Solid, one piece latex pillows are not adjustable making them more specific. Their comfort levels, however, outweigh the fact that they can’t adjust. In the case of the Malouf Z, it self-adjusts thanks to its unique zoned design that offers support in all the right places depending on your own unique shape. You can adjust the Pancake Pillow by inserting fewer or more “layers” of thin inserts. Together they form a single comfortable surface to rest your head on. Designed by medical professionals to help sufferers of neck and back pain. These really aren’t suited for every type of combination sleeper and are made specifically for people who have these specific chronic pain issues. The Natures Guest is a great choice for this. Functioning much like a waterbed, the water pillow offers premium comfort by automatically adjusting to any movement you may make during sleep. This type suits most types of sleepers. 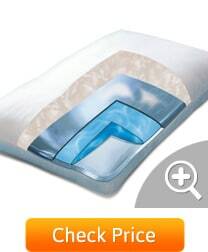 Mediflow’s Waterbase Pillow is the way to go here. Before ordering your new pillow, it’s important to establish what type of sleeper you are. Knowing if you are a side, stomach, back sleeper or a combination of all three will make it easy to rule out the unsuitable options. Make sure that the loft height of the pillows you are interested in will be suitable for your sleep type. As an example, if you are a side sleeper the loft height can’t be too high otherwise your head will be tilted at an upward angle causing discomfort and a stiff neck. Rather look for a lower loft height or one that has a gusseted edge that fits snug against your shoulder. Some of us are sensitive to certain materials and may suffer from severe allergies when exposed to them. Check carefully which materials are used in the construction. People who suffer from feather allergies will be wise to choose a synthetic down over real down. Although most manufacturers today observe a strict code when it comes to allergens and chemicals, be sure to check. Are you snoring at night and find that this disturbs your sleep pattern? Well, it might be that your pillow causing you to snore. Pillows which tilt the head in a certain position affect the airways to the extent that it causes snoring. You may not find light snoring much of a problem initially but it can worsen over time leading to more severe problems like sleep apnea. Make sure to get a fully adjustable pillow so that you can prop your head and neck into the most comfortably aligned position. The decreased strain and opened airways will result in reduced snoring. We hope this article helps you to get your sleep elevated to a heavenly state and that the choices are easy to make from this list of the very best combination sleep pillows.